Yep! I see em being picked off....one potatoe, two potatoe. if that member can be held accused of "lying to Congress"? Lying to the people though, ahhh....now there's a cause for some old-fashioned remedies! ...what are the odds that DeepState Fedcoats will give JW anything proving their corruption true? And this...I never had a good feeling about so many Obamunists holdovers hanging around...and this just confirms our worst fears - that they orchestrated the Sessions recusal move to ensure they got the Comey partner they needed (Boente) to sign the Carter Page FISA! Just makes one want to burn them all!!! I just read about that this morning on https://gab.com/NeonRevolt; good source. The Republican chairmen of three Senate committees are pressing Attorney General William Barr for details about “highly classified information” that the FBI declined to investigate as part of the Hillary Clinton email probe. The FBI drafted a memo in May 2016 saying that the information was “necessary” to complete the investigation into Clinton’s handling of classified information on her private email server, according to the Republicans. But as the Justice Department inspector general found in a report released last year, the FBI declined to take up the matter before closing the Clinton investigation in July 2016. The trio of senators want to know why. The inspector general’s finding “raises significant issues associated with the FBI’s failure to review certain highly classified information in support of its Midyear investigation,” reads the letter to Barr, signed by GOP Sens. Lindsey Graham of South Carolina, Chuck Grassley of Iowa and Ron Johnson of Wisconsin, the chairmen of the Senate Judiciary, Finance and Homeland Security Committees, respectively. Republicans have pressed the Justice Department repeatedly about the information. They inquired with the Justice Department about the matter on July 31, 2018, in a phone call on Sept. 17, 2018, and in a letter on Oct. 17, 2018. After the September 2018 phone call, the Justice Department declined to provide a briefing to the Senate Judiciary Committee, claiming that doing so would interfere with special counsel Robert Mueller’s Russia investigation. “Now that the Special Counsel’s investigation has concluded, we are unaware of any legitimate basis upon which the Department can refuse to answer the Judiciary Committee’s inquiries,” the senator’s wrote. 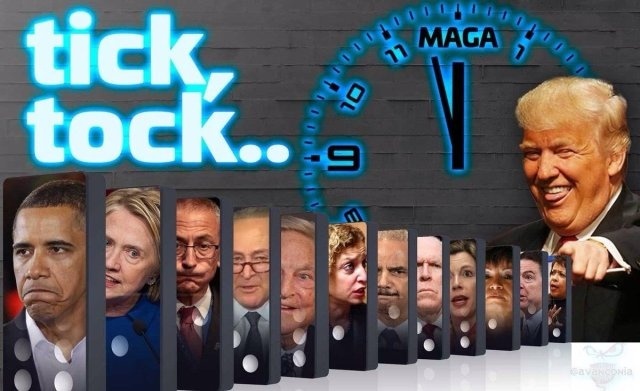 Yeah...if the deep-state holdovers and the chickenshyt coward Sessions is gone...what's the &%$#ing holdup?